Have you noticed any spots on your driveway where your car was parked? Or noticed that you need to keep filling up fluids in your engine? You may have a fluid leak of some kind and that can be very harmful for your engine. Have you ever had a leaky faucet? You know, the kind that just slowly drips at all hours of the day no matter how hard you try to turn the knob to shut it off. What is the problem? Why does it leak in the first place? Well, the washer inside that prevents water from leaking out is most likely damaged and it needs to be replaced. In your automobile, there are many seals and gaskets preventing fluids from escaping your engine, that if worn or damaged, can cause a variety of issues inside your engine if not replaced. Performance seals and gaskets are the simplest yet most important pieces of hardware used throughout your entire vehicle. Gaskets and seals act as the line of defense for any liquid or air that passes from one component to another. Not every car, truck and SUV uses the same performance gasket and All Auto has the knowledge to keep the leaks away! Automotive gaskets refers to a mechanical seal which is used for filling the gap between the two components in order to ensure that there is no leakage between them during compression stage. Automotive gaskets can bear both low and high compressive loads. For example, you may have heard of the head gasket. This is a gasket that is compressed between the engine block and the cylinder head. The head gasket seals in the internal combustion process and also keeps coolant and oil from mixing together as the two fluids travel from the engine block to the cylinder head. Head gaskets are the most critical automotive gaskets and automobile seals that are used in the automobile engine system that absorbs all the heat and compression produced by the engine of the vehicle. Automobile seals or auto seals are mostly made of rubber or stainless steel. The different types of automotive seals that are widely used today in automobiles are camshaft and auxiliary shaft seals, water pump seals, trans axle seals, oil seals, wheel bearing and axle grease. What are the symptoms of a seal or gasket failure? There can be many symptoms of a seal or gasket failure, but the most common and easiest to spot are leaks. Many times you may see spots on the ground under your vehicle. Some leaks are easier to spot than others. Other times, you may see a caking of fluid around parts of your engine that should not be there (these may not leave spots on the ground). And, in other cases, your car may start to emit white or bluish smoke from the exhaust and that could mean you have a major gasket leak. 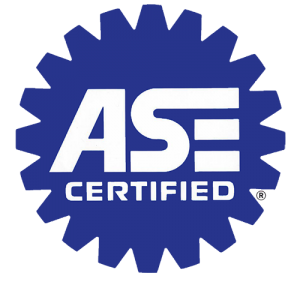 Let the experts at All Auto diagnose your engine and give you a fair and honest evaluation of your vehicle to make sure you don’t have any seal or gasket leaks.